ICE is going to spend more than $ 20 million on Bakkt this year. The Intercontinental Exchange (ICE), which is the parent company of the New York Stock Exchange, expects that this year it will spend more than $ 20 million to develop Bakkt, a platform for trading and storing bitcoin futures. The profit and loss statement for the 4th quarter of 2018, which was published on February 7, by Scott Hill, ICE's financial director, stated that the company's investment in Bakkt would exceed the spending plan for 2019 by about 20-25 million. 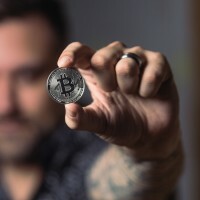 This information appeared only six weeks after Bakkt announced a major fundraising of US $ 182 million to develop a trading platform with regulatory approval. However, the launch of the platform was postponed twice. ICE CEO Jeff Sprecher said that the company's investment in Bakkt is “something like a moonshine bet” and is not a typical ICE product. But despite this, the platform's infrastructure attracted “very interesting” companies for investment, in particular, Microsoft and Starbucks venture funds. Sprecher also expects Bakkt to conduct other rounds of funding. Currently, Bakkt is a separate company with ICE as the main investor, but it can be completely withdrawn from the stake at a later stage. However, Sprencher's answer to the question about the launch date of the platform is vague; he only said that users can expect the launch "later this year."